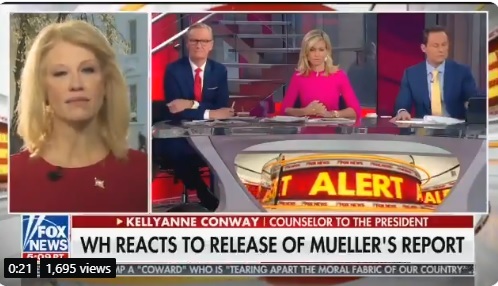 White House counselor Kellyanne Conway went on FOX and Friends on Monday to gloat following the exoneration of President Donald Trump, his campaign and family in the corrupt Mueller witch hunt. During the conversation Kellyanne WENT OFF on liberal hack Adam Schiff who insisted he had proof of Trump collusion with Russia. Schiff was lying and continued to spread this lie for two years.